Well I must say I've never been a Mustang fan, but I just bought the new Unique Cars mag and was reading some history on it and also watch a doco. I never knew Mustang II existed and I must say I am really quite interested! Anyone know much about this apparently, much hated model? It looks like a Holden Torana sized Ford? I like it! Anyone seen one in Australia? Most Mustang fans try to forget this area. The car did have a few things going for it at the time being a small bodied economically priced couple but it did nothing for Ford's performance image or credibility. Thankfully most other manufactures were also producing similar models to respond to the fuel crisis concerns at that time. The Mustang II would, and could be quite a bit of fun with a modified, stroked 5.0 under the bonnet of a Torana sized vehicle. It would also be quite unique to see a nicely restored one today minus the horrid King a Cobra decals. Personally I would prefer to gave a 3 or 5.0 Capri. Quite literally , this was going to be a Mazda 6 re bodied FWD , until the very last mimiut it went RWD . This is actualy a significant model , as it set the road back yo v8,s then the Mustang3 came back stronger . If the m2 didn't sell I was planned to dump it in favour of the Mazda direction ? 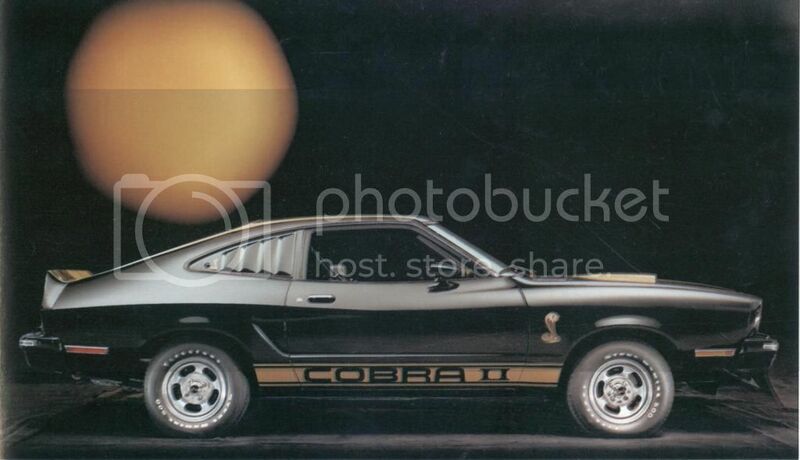 There was nothing particularly 'wrong' with the car technically apart from being uninspiring and one of the first Mustangs to have a 4 cyl option. Lets just say the design wasn't in keeping with Mustangs heritage, pony and muscle car image, and its supporters responded accordingly. That is a very diplomatic way of saying for Mustang, it was considered an abomination. 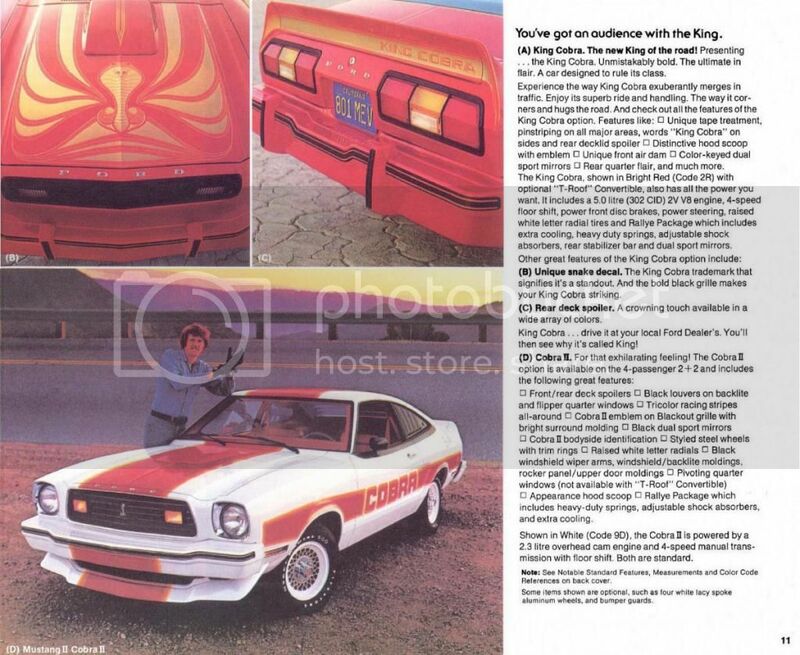 I'm going to say the Mustang II is one one of the most interesting to me personally, and I never knew about it! The problem is the Mustang II made 104KW from its V8, so you could imagine how average the 4 and 6 was lol. Not an overly bad looking 70s cars though, would go alright with an LS3 under the hood lol. The new Mustang promises to be the total package, not compromised in anyway, visually, technically, comfort or in performance. It should live up to and exceed the expectations of both traditional buyers and new people to the brand.